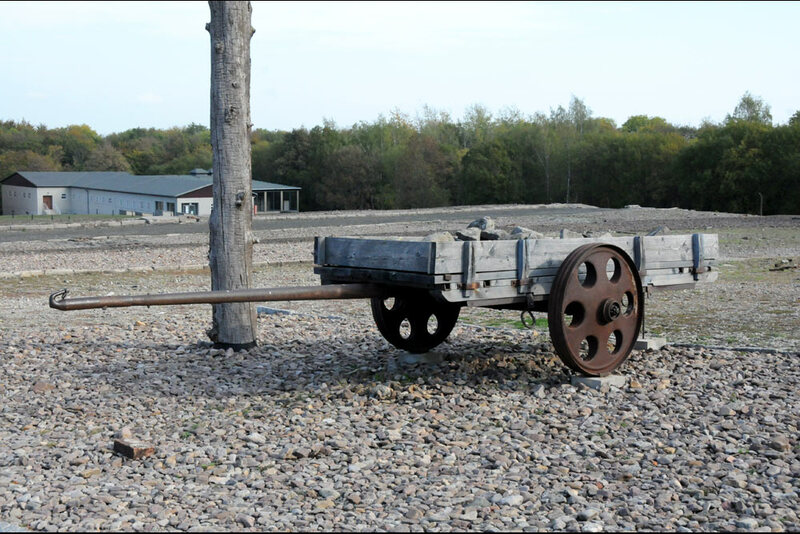 The Cart was used to transport stones from the brickworks. 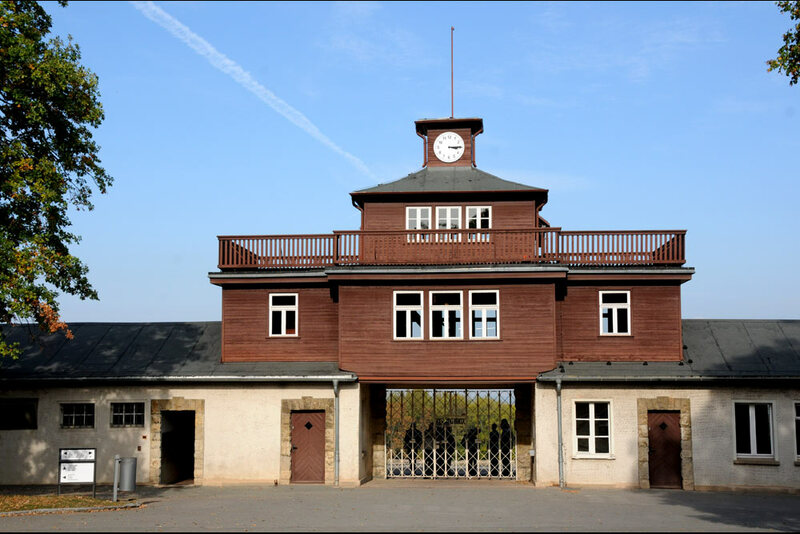 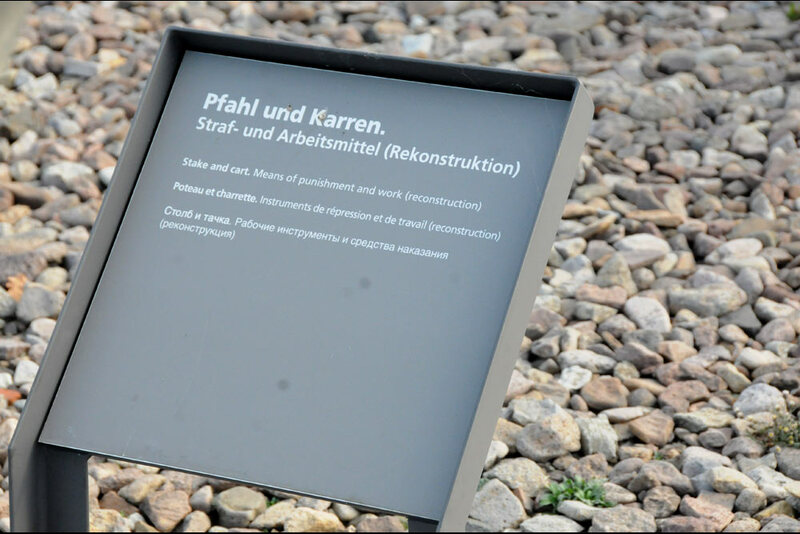 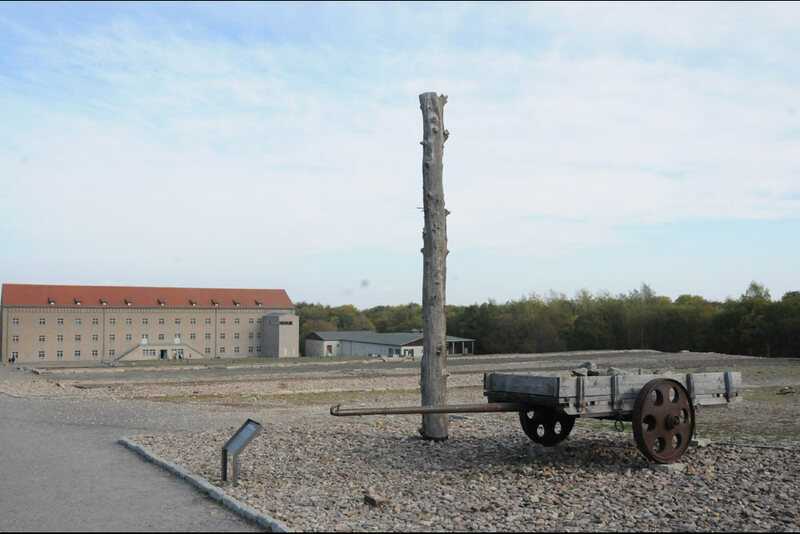 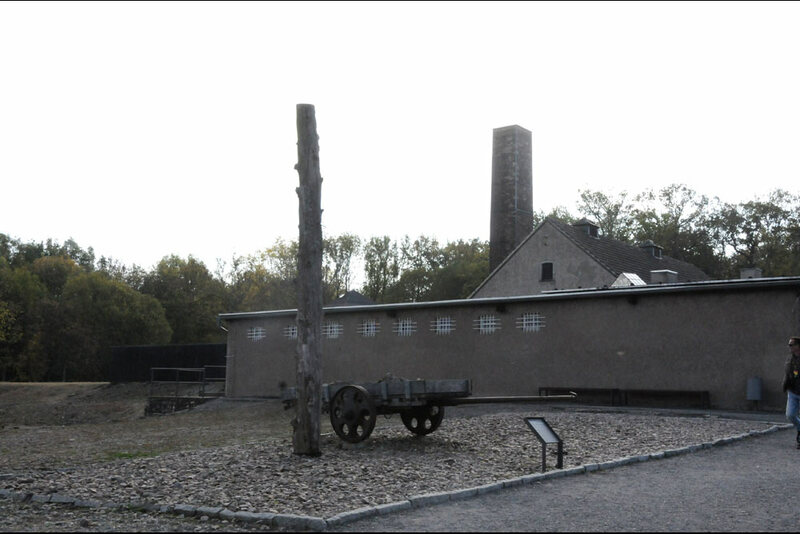 The Stake was to punish prisoners in Concentration Camp Buchenwald. 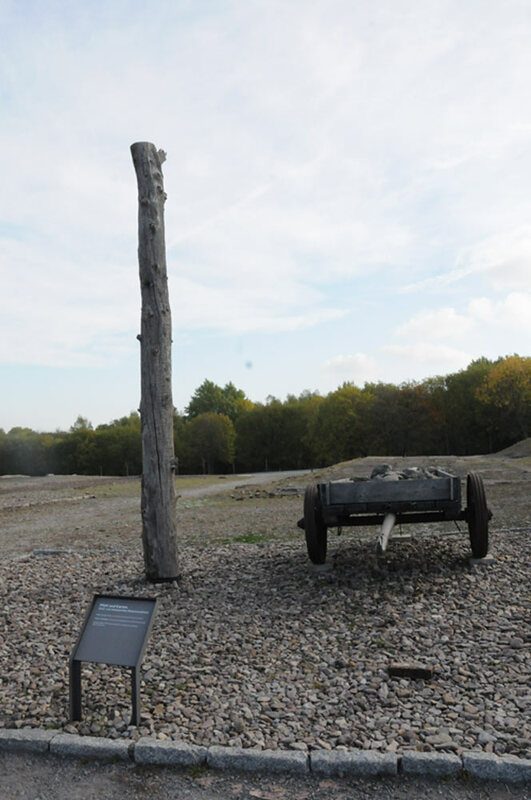 The Cart and the Stake are replicas.